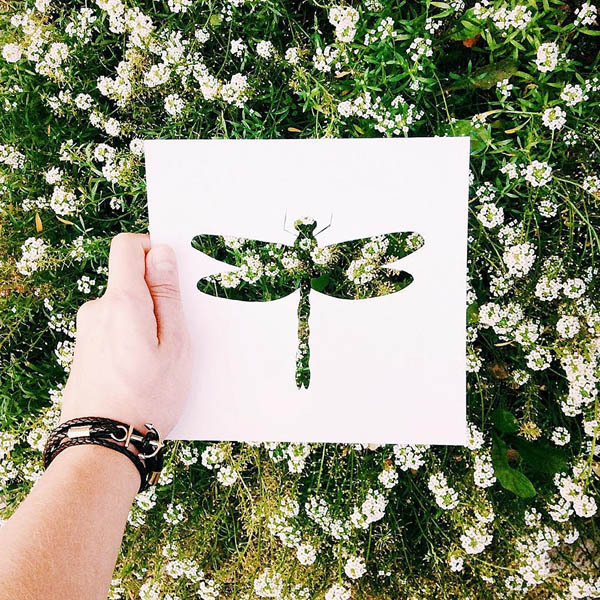 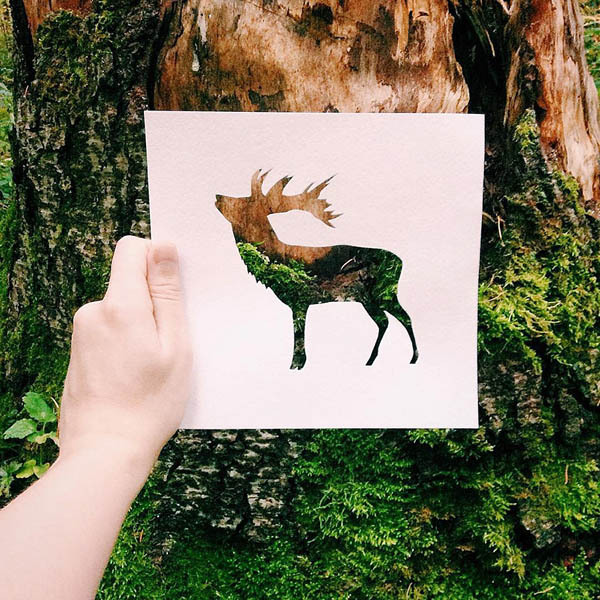 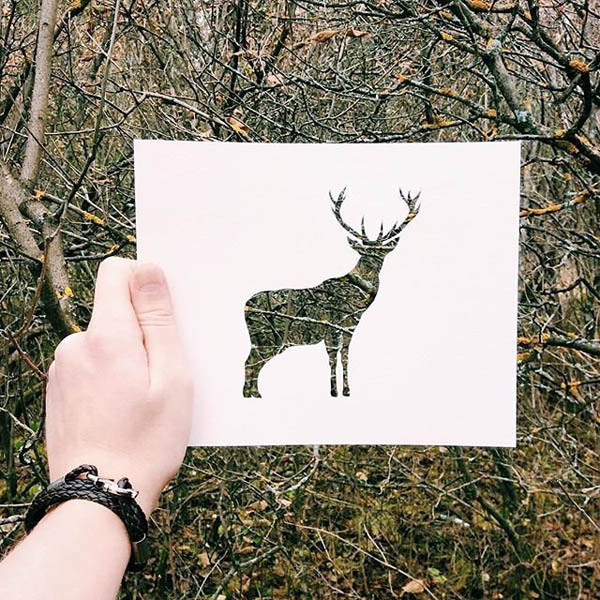 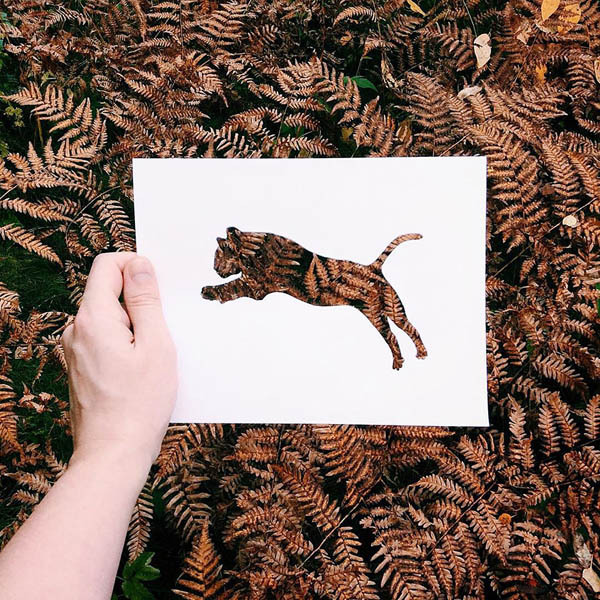 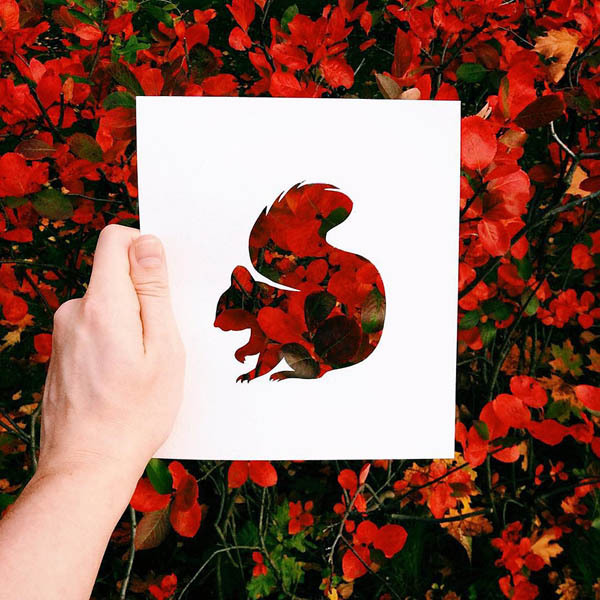 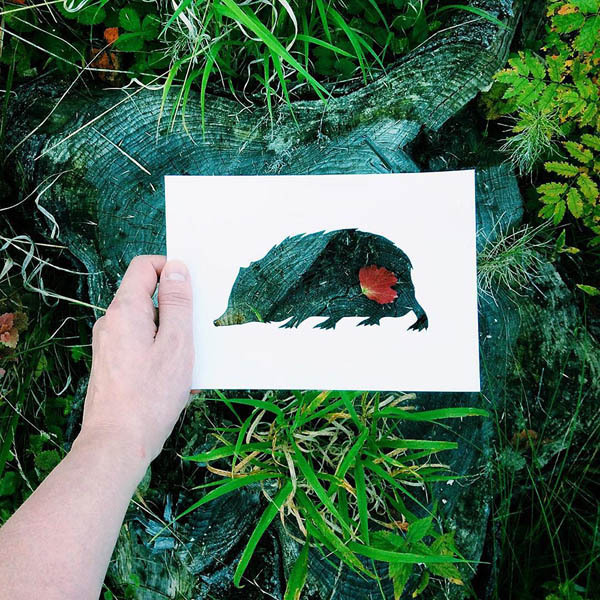 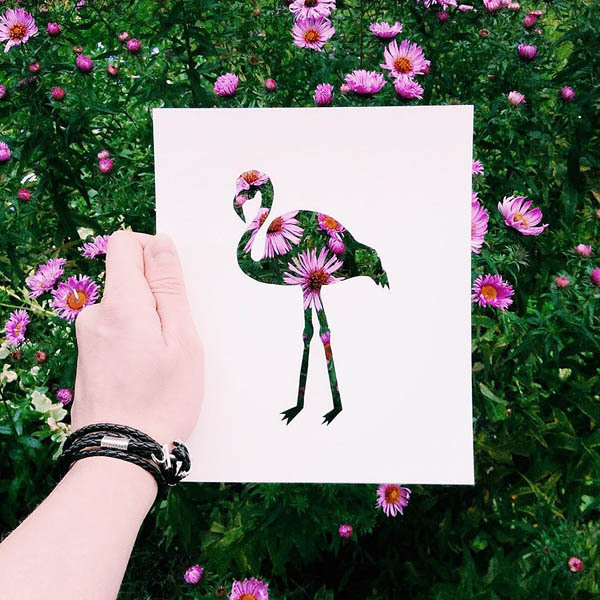 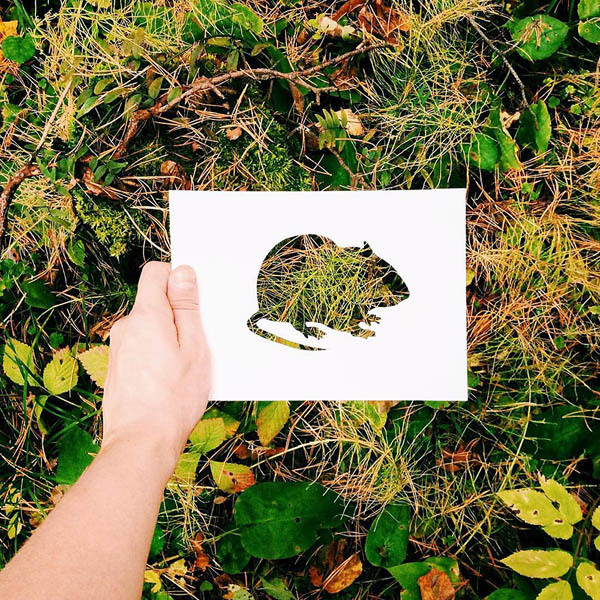 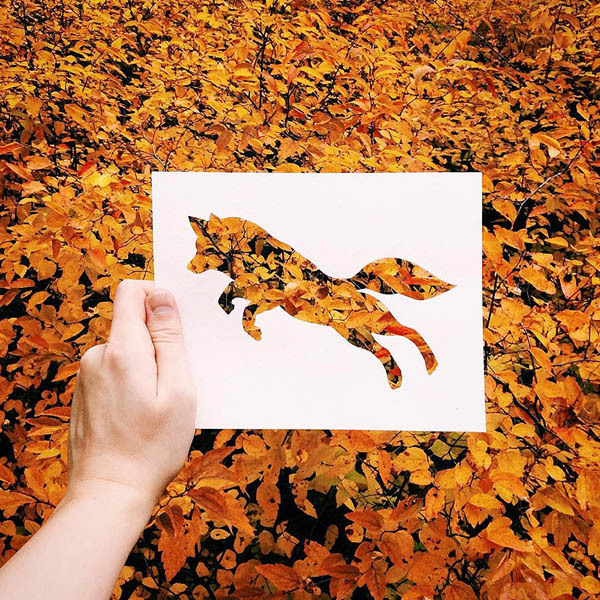 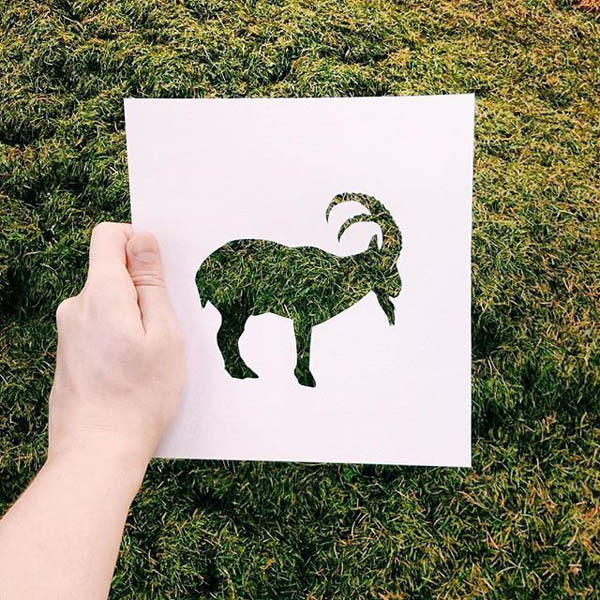 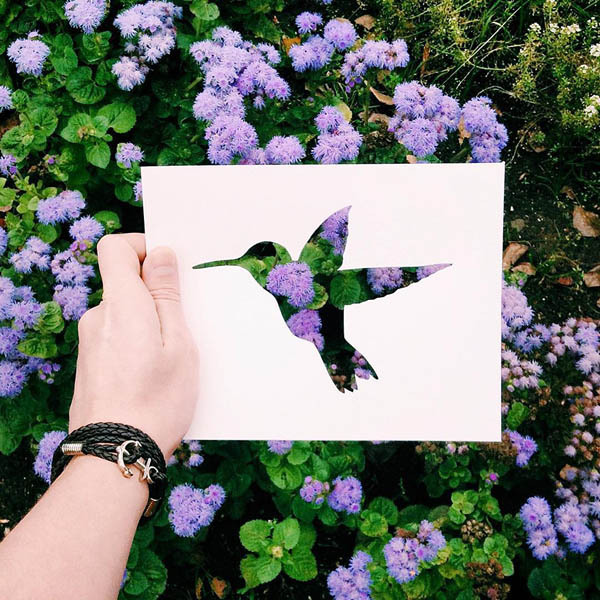 Nikolai Tolstyh, the Russian artist, cuts out intricate paper silhouettes of animals and then take photos in a natural setting. 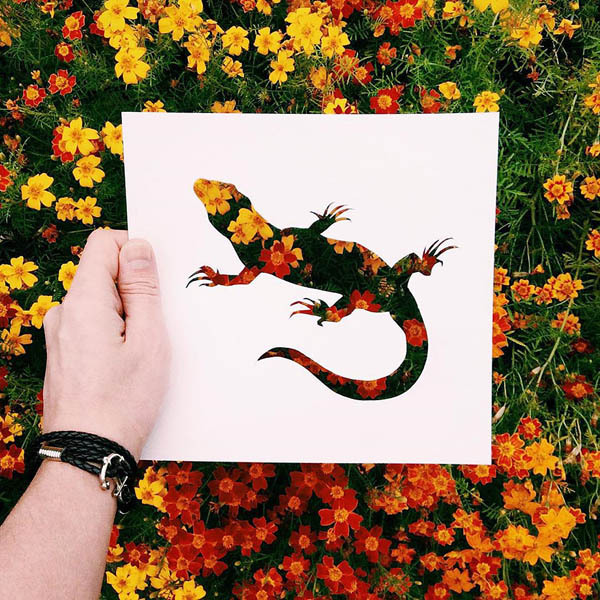 The artist uses appropriate textures for each image and the combination is surprisingly perfect. 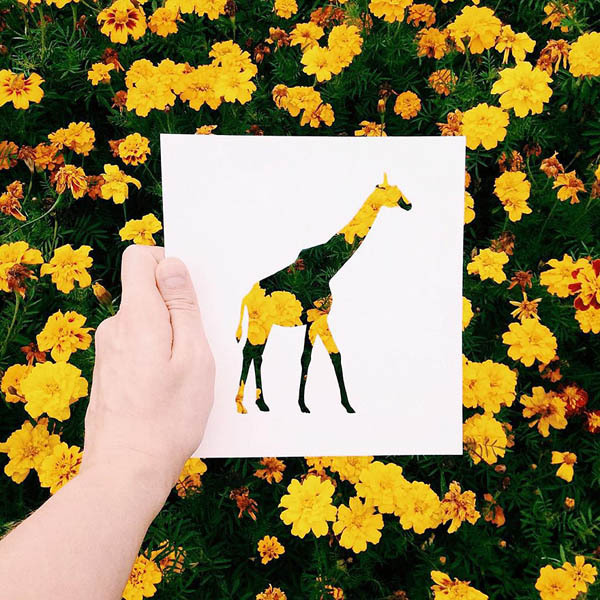 For example, a giraffe’s spots are mimicked by blossoming yellow buds, while thin brown leaves serve as a tiger’s stripes. 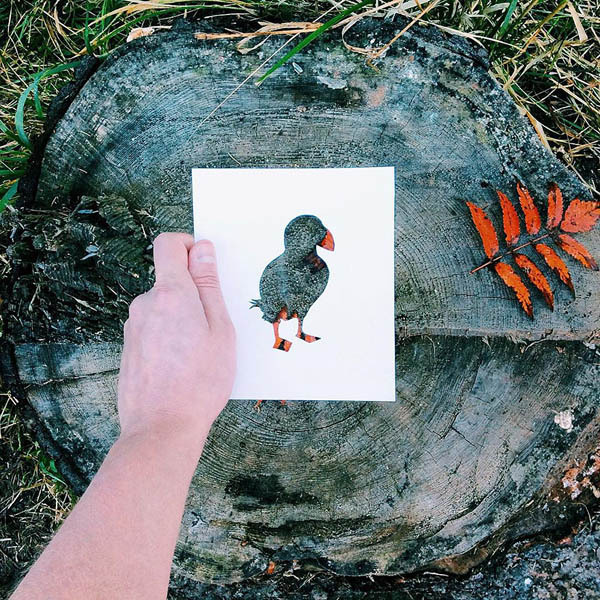 Dewdrop-covered grass, tree trunks worn with rustic lines, colorfully bold flower petals, and freshly fallen autumn leaves, there are so many options for artist to choose to color his two-dimensional zoo. 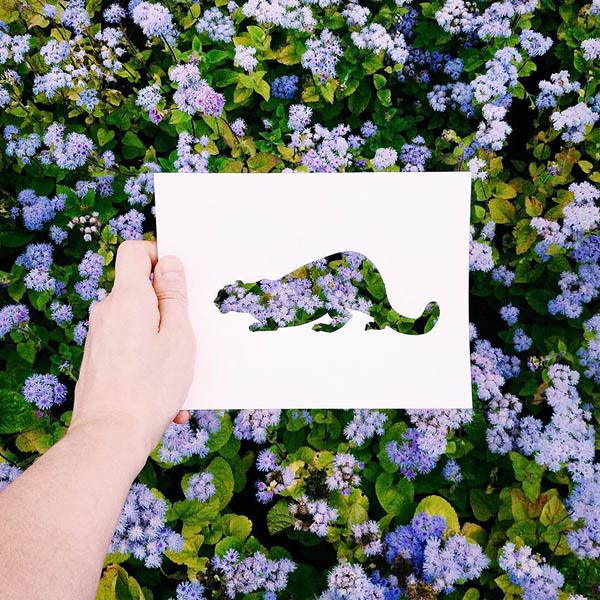 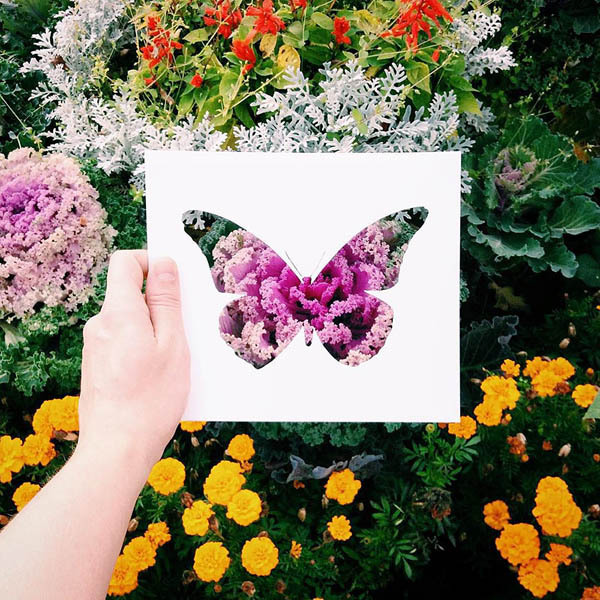 See more of Tolstyh’s work on his instagram page and find out how he capture the many shapes and forms of beauty that unceasingly occupies the world around us.